check-ups | Half Heart. Whole Life. 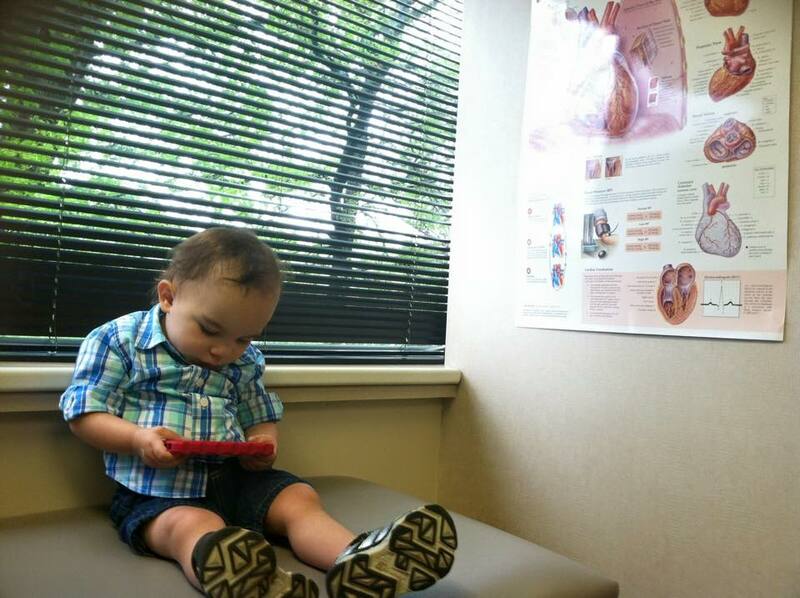 Some weeks ago, Nolan had his regularly scheduled Cardiology appointment, which occurs every 6 months or so. For the last several visits these have gone very well and since I work really close to the Cardiology office, I can pop right in and be part of the visit then go right back to work. This appointment, however, was giving me a tiny bit of anxiety. Ok, not a tiny bit but not a huge amount. Why? For some reason I had it in my head that we were going to go in there and they were going to start talking about the F-Word…the Fontan procedure: the next – and hopefully final – step in his surgery plan. Was I read to talk Fontan? Heeeeck no, I wasn’t ready for none of that mess. I think part of that anxiety was due to seeing several people’s HLHS kids get the Fontan at about 2 1/2 years old as opposed to 3. You see, Nolan is still a little guy: he is struggling to get to 24 pounds, and I was scared to death to even think another surgery because he was still so small and it made me scared to think we’d have to hand him over, again; they would cut him open. again; and then we’d wait…again. Normally I try my best to take everything in stride but for a little while this was driving me bonkers. I was terrified to hear the F-word during this appointment and it was like I got into my own head about it. When the day finally came for Nolan’s appointment, I stepped out of a meeting I was in and walked over to the Cardiology office. That whole morning I was preparing myself. When I got there, I saw my wife holding Nolan, who had his shirt off and had obviously been crying very hard. My wife said that as soon as he saw the rooms in the back, he went nuts and wouldn’t stop crying and wouldn’t sit still for an EKG or a pulse ox reading. Woo boy. So I picked my my crying little beast and we walked in to do an Echo. Nolan was not having it, so I had to hold him and put on Yo Gabba Gabba on my phone so he could remotely relax enough to get a decent Echo done. At first he was going nuts and I thought I was gonna come out of there covered in that ultrasound goop. But MAJOR kudos to the tech, who still managed to get good pictures. And to help things along, Nolan’s Dr was in an adjoining room watching the Echo as it was being done so he met with us quickly and said Nolan’s heart function looked great and that they wouldn’t have to see us for quite awhile and we wouldn’t begin to have the surgery conversation until next spring.